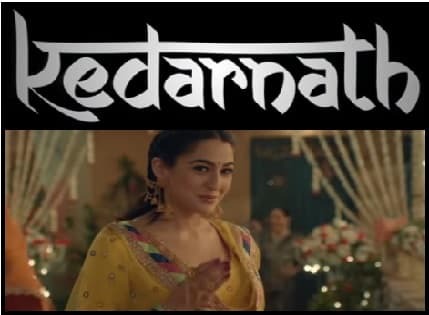 According to Box Office, Kedarnath earned 2 to 2.50 million on Friday. Thursday's earnings showed its earnings drop by 18 percent. The film is still performing well in Delhi-NCR. The point here is to note that Rajinikanth and Akshay Kumar's big-budget film 2.0 has made a big difference in cinemas. Kedarnath, who released on December 7, did business 42 crores approx in the first week, while on Friday it earned 2.50 crores. In this way, the film has earned a total of 44.50 crores in 8 days. It is believed that the film can reach close to 51 million at the weekend. Let me tell you that the budget of Kedarnath is about Rs. 35 crores. Sara Ali Khan is enjoying his success at this time, though the coming week for Kedarnath will not be easy. On December 21, Shah Rukh Khan, Katrina Kaif and Anushka Sharma starer Zero will be released in the direction of Anand L. Rai. Kedarnath's stay ahead of this big budget and big star film will not be so easy. The story of Kedarnath is based on the love story of a Hindu tourist (Sara Ali Khan) and a Muslim (Sushant Singh Rajput). In the film, Sushant Singh travels 14 km to see Lord Shiva as a guide for Sara. The story of Kedarnath is around Uttarakhand flood in 2013. In which thousands of people were killed.